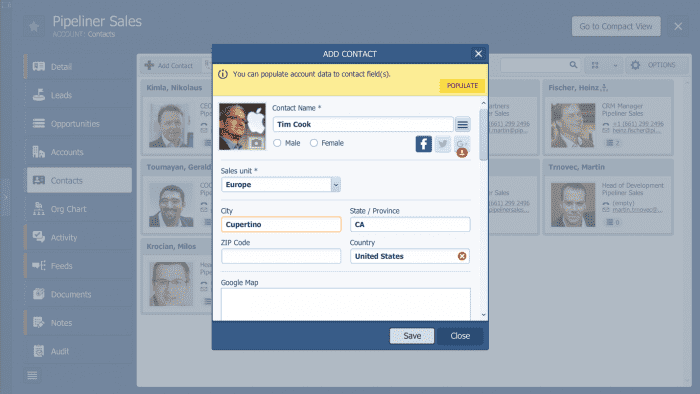 Pipeliner is already a strong competitor in the CRM market. Their platform is known for their visual tools like offering users with sales pipelines, detailed analytics, clear stages of the sales process, and sales forecasts. However, going one step further, the provider just recently announced their latest evolution of the platform. Pipeliner has just this week announced their latest addition: Universals. This latest addition grows the platform by enhancing their already powerful Performance Insights functionality, as well as some other new feature additions. Pipeliner CRM understands that humans are visual learners and are able to pick up something new much quicker when there are visual aids. Key features in the platform are customizable to fit your business’ needs and can be broken down into charts and tables. 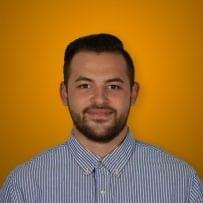 Their goal is to make sales CRM software more accessible to everyone interested in it. Sales CRM software comes with tons of features that are not easy to pick up right away, but are necessary for the software to work properly. When the software doesn’t work properly, it could lead to incorrect customer data that could throw off your marketing plans and make CRM adoption a tougher sell to the office. What’s New at Pipeliner CRM? Their new Pipeliner CRM Universals enhances this by improving their KPI dashboard, notification center, and mobility capabilities. We’re going to quickly break down these features. Pipeliner CRM’s Performance Insights feature is a powerful tool used for increasing your sales team’s performance. KPI’s are readily available, allowing managers to view historical trends, and see conversions of leads and opportunities each rep makes. Collaborative Conversions is a new feature within the Performance Insights function that showcases all the data for every user involved within the sales process. Every now and then, more than one sales rep will be involved in leads and opportunities, so gathering data such as BDRs and SDRs. With In-App notifications, agents are notified when existing data is updated, when emails are received, when documents are uploaded, or when another user sends you a message. It’s also possible to send other users messages through the notification center, where all your customer data exists. The notification center is important because effective communication is essential for sales teams to be successful. Everyone needs to be on the same page regarding leads and which ones to pursue, so having a place to store customer data that’s easily accessible for everyone is essential. This feature is interesting for a couple reasons. Most businesses find it hard to use sales CRM software properly because the software itself is hard to learn, and CRM software often comes with tons of features and a bit of a learning curve. Dynamic Activities in Pipeliner CRM Universal help businesses ease the transition into sales CRM software by making it possible for business owners and sales teams to customize the fields and forms that best fit the needs of the business. What really makes this stand out is the ability for this feature to work with third-party tools like Zendesk Support Ticket. If your business is already familiar with business software in general, Dynamic Activities can be used to integrate third-party tools to Pipeliner CRM in order to collect and organize as much useful data as possible. Pipeliner CRM is taking a step in the right direction by enhancing its mobility features, such as the notification center. It can now be accessed on Pipeliner Mobile CRM, which is good because most sales CRM software does this already. They are leveling the playing field with other big name sales CRM software, and in some cases taking a step forward, by also improving their KPI dashboard, which most providers do not offer or emphasize. 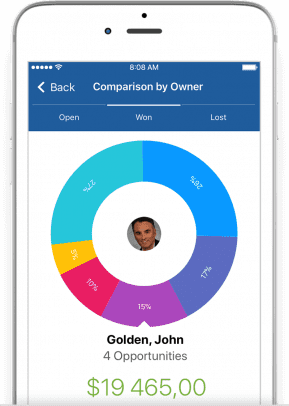 Pipeliner CRM now offers bar charts for top opportunities, won and lost, and offers a wheel chart where you can compare these opportunities by Account Class, Account Type, Owner, and Unit; all of this is accessible within the new mobile app. 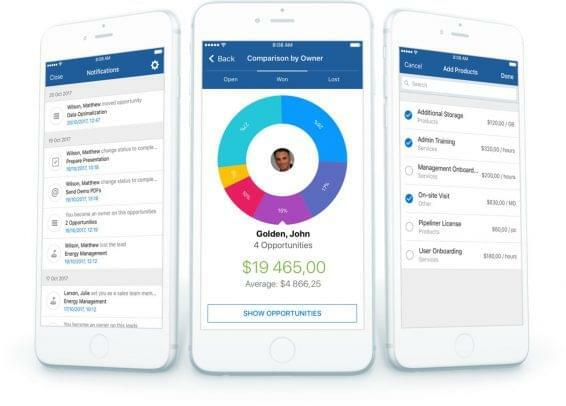 Pipeliner CRM has taken a necessary step in the right direction by improving key features such as their KPI dashboard, notification center, mobility capabilities, and dynamic activities. They did this by giving their users more visual aids and making some features more customizable. The KPI dashboard is worth looking into because KPI’s are an often overlooked feature that can really make a difference in your business’ sales and marketing plans. They can be used to outline your marketing strategies and determine whether or not your business is on the right path. Mobility is always important as well because business owners are always on the move and sales teams are constantly in meetings with leads and customers. 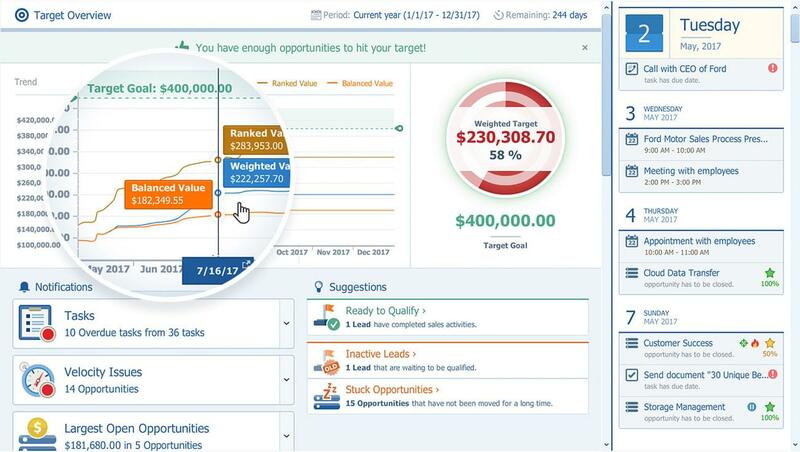 Although this feature isn’t entirely unique, it is a step in the right direction because Pipeliner CRM prioritizes their visualization capabilities. Having them transferred over to an app is unique. 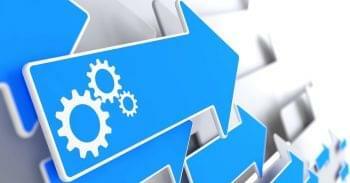 Pipeliner CRM Universal seems to only be enhancing the features they already provide, but the features they provide are important for the sales process. Visual guides like sales pipelines can keep businesses organized and improve the number of quality leads and sales generated from them significantly. The features that have been improved upon are important and should be taken into consideration when looking to purchase sales CRM software for the first time or are looking to switch to a much simpler solution.